For this beer I wanted to have a lot of beer on hand. 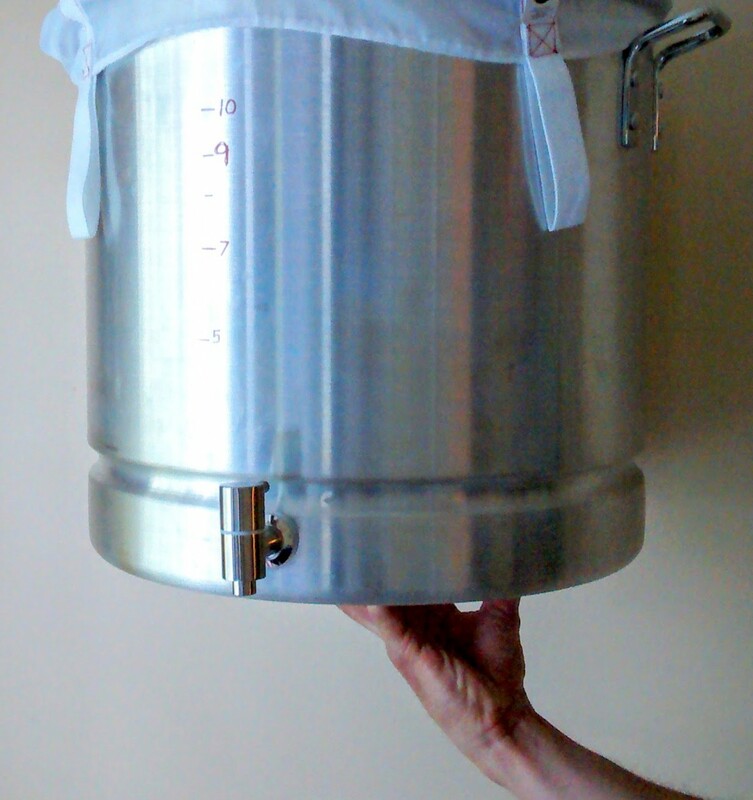 One Pot Brewing does just fine with 5 gallons, but what about 8? For this beer, instead of making an IPA, I made an IPA wort, diluted it with tons of water at the end of brewing, and instead made an 8 gallon Pale Ale. I wanted a huge grapefruit character, so I peeled 4 large grapefruits and threw them in at the end of the boil, along with large amounts of citrusy and tropical hops, all of which were placed in my brew bag for a few days during fermentation. The result was pretty tasty. The grapefruit makes this a very interesting beer. I like it, but in full disclosure my wife and two other people didn’t like it. Another of my homebrew friends did like it. So…there you go. My wife said it was ‘grassy’ and, for all I know, she’s probably right. It’s very interesting to taste a beer that you brewed yourself; you know exactly what to look for, what to expect, and what you’re tasting. I get a large grapefruit peel effect, which might come off as harsh, but not to me; I get an odd pithy bitterness, which is backed up by slightly sweet malt character, and the zingy orange flavor of Simcoe hops. To me, it tastes like the ingredients that were put into it- especially the 4 grapefruit peels. So I’m happy with it. If I brewed this again, I would try zesting the grapefruits, as opposed to peeling with a knife. Peeling is said to impart harsh bitterness from the pith, which I intentionally wanted because I like it. Adding lemon zest is also a good idea. This beer carbonated in 5 days. What’s up with that? The mysteries of bottle conditioning continue to baffle me. Another interesting technique I employed for this beer was to collect some wort for later, to use as a “vitality starter” for future beers. First, I sanitized some salsa jars. Then, after the mash, I poured some wort into the salsa jars, let them cool, and popped them in the fridge. That’s pretty easy, actually. I talk about how easy they are to use in a different post. I would only do this for very big special beers, like a Belgian Tripel. I don’t think starters are necessary, but it can speed the process up. It’s really the Belgian Tripel that I want to try this on.